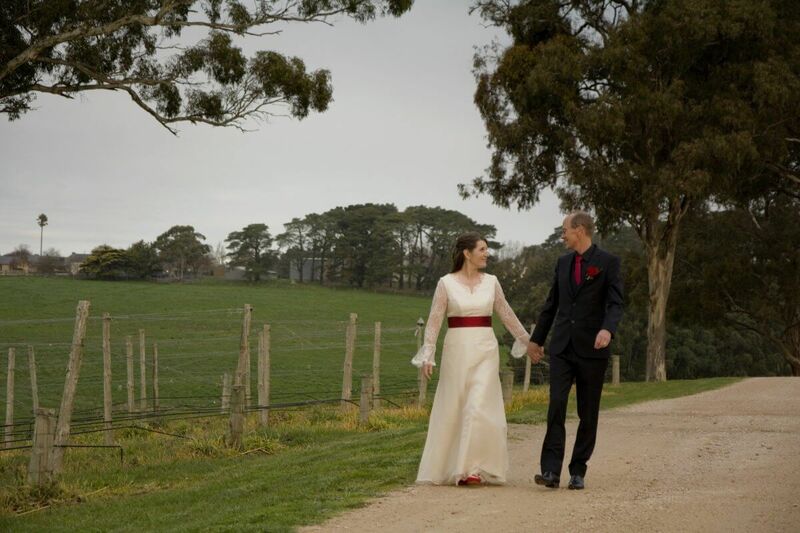 Michelle and Phil got married at the beautiful Lane Vineyard in the Adelaide hills on a cold but sunny winter day in August. The grass area surrounded by trees overlooking the stunning vines of Lane Vineyard provided the perfect setting for the couple to exchange their vows. Michelle walked down the aisle to her chosen song ‘two hearts are better than one’ by Katie Herzig. Celebrant Penelope spoke beautifully touching everyone allowing guests to completely forget the cold. While signing the registry I was playing ‘I will always be right there’ by Bryan Adams as requested by the couple. After being announced husband and wife they walked out to ‘better together’ by Jack Johnson. Michelle and Phil had an intimate wedding of roughly 60 guests. As requested by the couple they entered the reception while I was singing and playing ‘chasing cars’ by Snow Patrol on the piano. Guests enjoyed a 3 course meal while listening to more acoustic tunes and a set with piano accompaniment as requested by the couple. Michelle and Phil are very modest people and requested not to have speeches, cake cutting or first dance, they simply wanted to have a fantastic night with family and friends which was a huge success. After a brief thank you note to their guests and suppliers I opened the dance floor with my DJing and the party continued until late. Thank you Michelle and Phil for letting me bring music to your special day, I had such a great day with beautiful people. This entry was posted in Weddings and tagged realweddinginspiration, realweddings, weddingideas, weddinginspiration, weddingmusicadelaide.